As a specialty blog, Pocket-Console's highlights the on-the-go gaming experience and the console-style games that go with it. As many of us have mobile lifestyles or simply can't stay in front of the TV like we once could, portable gaming has become our solace. Thanks to these new powerful handhelds like the 3DS and Vita, we have been able to enjoy more and more experiences that rival home consoles in terms of quality. As such, we're going to look back at the best of 2012 and the portable games that kept us engaged. Often times studios will release a game across multiple platforms, with a portable version (3DS/Vita) getting the short end of the stick. Other times, portables are left off completely. 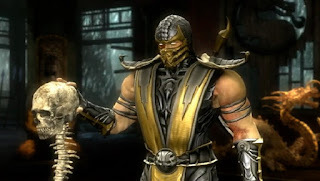 In 2012, there were a few great games that got a second chance on portables and the top of those was Mortal Kombat for the PlayStation Vita. 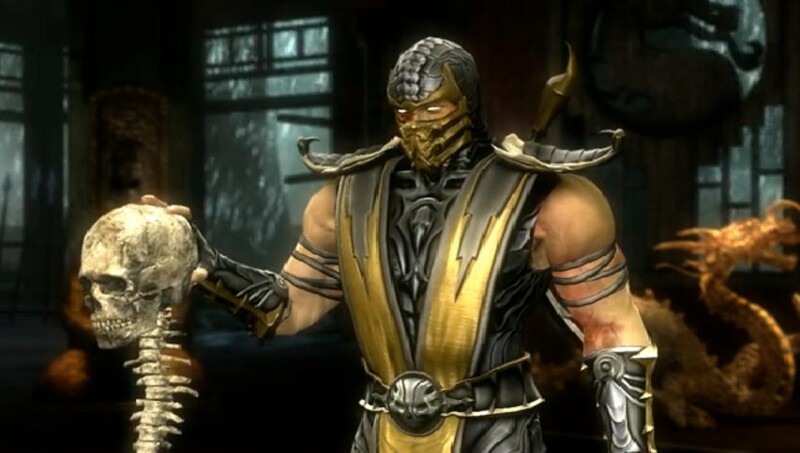 Originally a multiplatform console release in 2011, the Mortal Kombat reboot ended up being one of the best fighting games of the year. The game's story mode was fantastic, breaking the trend of forcing players to battle through each character's path individually and instead created a continuous story mode where combatants swapped in and out as the plot progressed. It was a bright spot for the series and the shift to portable was fantastic. Mortal Kombat on Vita plays every bit as smooth as a fighting game should, with the system's controls fitting the game to a tee. All of the content from the console version was included here as well; even the paid DLC was packed in at no extra charge. It was a fantastic port and perfect fit for the Vita. 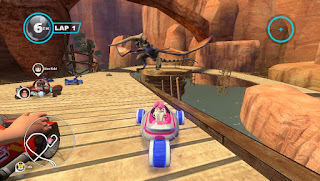 The mascot-focused kart racing genre has long been dominated by Nintendo and its huge cast of characters, though back in 2010 Sega attempted to break the monopoly with Sonic & Sega All-Stars Racing. While it didn't seem to make as big of a dent as the company would have liked, that didn't stop Sega from trying again in 2012 with Sonic & All-Stars Racing Transformed. This time the formula worked even better. Sonic & All-Stars Racing Transformed was the biggest surprise for me in 2012, because I'd pretty much given up on kart racers. Other games in the genre had gotten stale, and I had little interest in even trying to give any others a chance until I started hearing all the positive chatter about Transformed. After playing it on the Vita, I can see where they were coming from. Sumo Digital has taken classic Sega properties and crafted them into a fast, quirky, racing experience. Featuring twenty tracks from games such as Burning Rangers, Panzer Dragoon, and Super Monkey Ball and almost thirty characters, Sonic & All-Stars Racing Transformed was big surprise in a great way. I highly recommend it for those even remotely interested in kart racers. 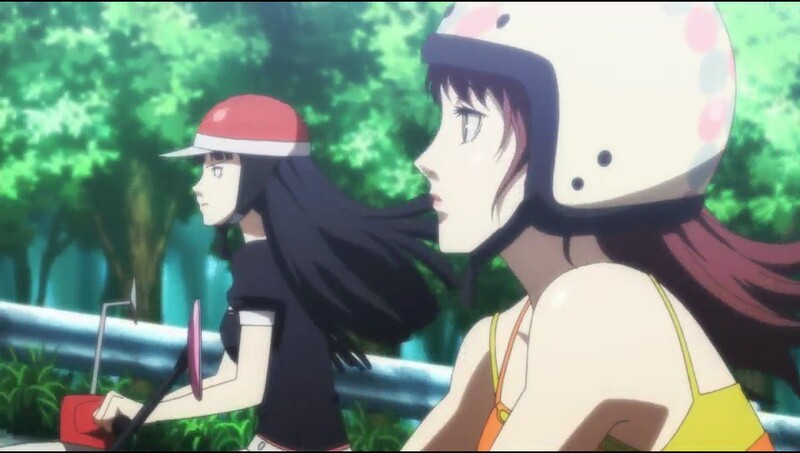 It's was daunting to jump back into Persona 4. After all, I'd already spent almost seventy hours with the original PlayStation 2 version. Even though I loved every minute of it, I already knew the entire story and everything in between. Regardless, I figured I'd give it a shot, especially since I did love it so much initially. And after only a couple hours, I was (once again) addicted to Persona 4 Golden. How could a game that I played only a couple years ago still be this addictive, especially since it is such a massive undertaking? The answer is that the game's cast is fantastic and the story is so personal and emotionally packed that it's hard not to get invested. I found more moments in this game that I could identify with than in any other game out there. What makes Golden even better are the additional story elements, the new social links, and full control over your party members' advancement. It felt like a fresh, more complete, game than the original. Most importantly it was so easy to make progress without having to worry about save points due to the ease of putting the Vita into sleep mode. With its already bite-sized formula, pick up and go gaming has never been better than Persona 4 Golden. While not quite in the same arena as Monster Hunter, GameArts did attempt to break into the multiplayer RPG genre with Ragnarok Odyssey. While frustrating at times in single-player mode, this game's online play offered something that few other portables games have truly attempted and even fewer have done well. 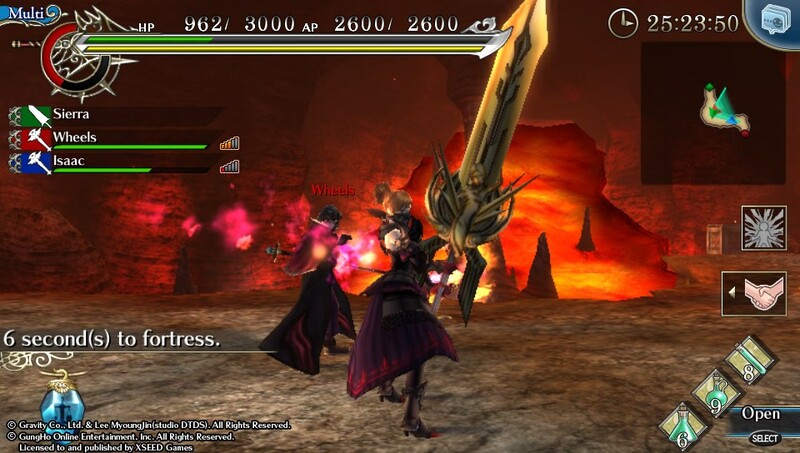 Each mission is broken down into a brief, timed quest to defeat a certain number of monsters or a massive boss. Trying to tackle these baddies alone would often end in a game over and a raging fit. 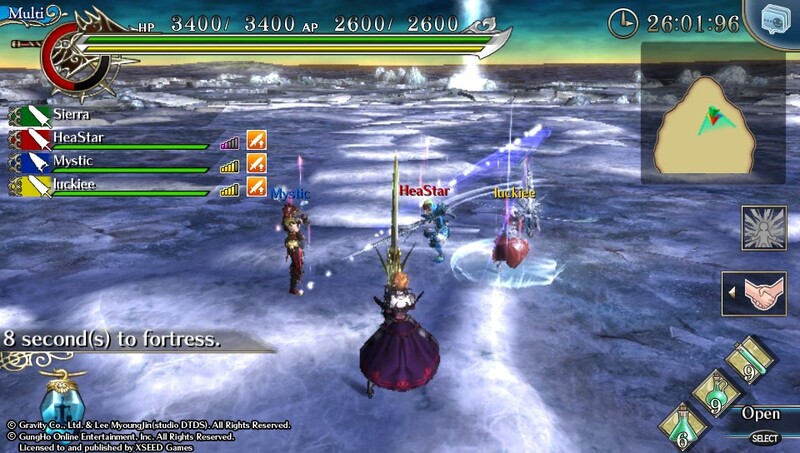 However, with Ragnarok's easy-to-access online mode, players could team up and jump right into a mission. This would boost the difficulty, meaning these fights were still not a cakewalk, but it helped greatly when you'd get a quality team. The thrill of finally taking down a nasty boss is a great feeling and knowing that your teammates helped made things even better. 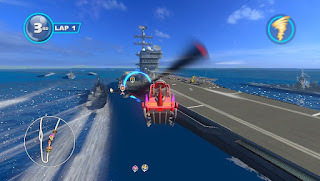 The netcode was fairly stable throughout, making this one of the best implementations of online play on a handheld game to date. The original Kid Icarus on NES was always a curiosity for me. I enjoyed the music and concept, but could never really get into the game itself. The Game Boy version was much the same, so when Kid Icarus: Uprising was announced, I was curious, but not really excited. Thankfully, despite its flaws, this is one of the best revivals of the year. 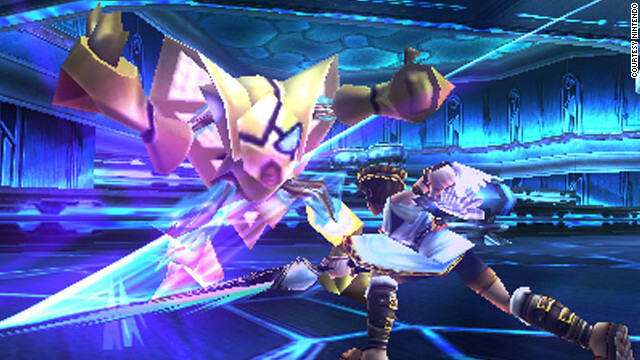 Split into two different styles, each stage of Kid Icarus: Uprising is part on-rails shooter and part third-person action game. This disparity is only problematic in trying to label the game. Each section blends well and offers an interesting experience, especially for a portable game. The production value here is also quite high, featuring impressive visuals and a masterful soundtrack from a collection of composers such as Motoi Sakuraba, Yasunori Mitsuda, and Noriyuki Iwadare. The problem only comes from the controls, which can be cumbersome and cause hand cramps. Despite that, the game is very impression and a great return for series protagonist, Kit. It's a shame that after only one outing, Nintendo opted to shut down Project Sora, so we'll not likely get to see Kit and crew outside of Smash Bros again for another twenty years. There were a ton of great games released on portables this past year, but out of them all, one stood out above the rest. An original release with a fantastic, mindscrew of a story, a great cast of characters, and a brilliant localization, Zero Escape: Virtue's Last Reward is Pocket-Console's Game of the Year for 2012. Taking the formula from Chunsoft's first game in the series, 999: Nine Hours, Nine Persons, Nine Doors, and improving upon it in almost every way, Virtue's Last Reward was the most compelling portable console game of the year. Virtue's Last Reward is a crazy cross between a visual novel and puzzle game with a sci-fi story that will have your mind working overtime trying to figure out what's going on...when you're not sobbing "manly tears" into your pillow. As it is a sequel to 999, it does follow a similar formula of decision making as you solve room puzzles and follow branching paths to try to survive the Nonary Game. Players must make tough decision as to who to trust and who to betray in an effort to solve the game's many mysteries and escape with their own life still intact. 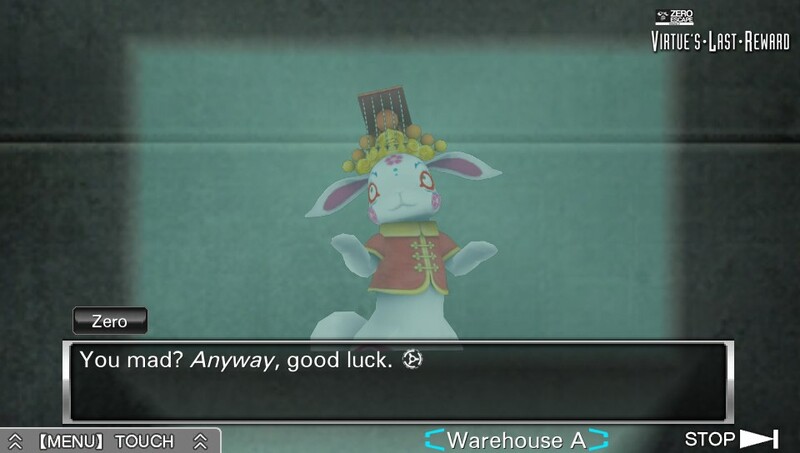 Where 999 forced players to pick a path and follow it all the way to whatever end it might take them, VLR gives players the option to jump around at any time to a new story branch, skipping any sections they have already experienced. That, along great characters, especially the sarcastic main character Sigma, the cold "harpy" Phi, and the lovely CGI bunny/game master Zero III, went a long way toward making this a very memorable experience. It's hard to share too much of the story, as that's what makes Virtue's Last Reward so great. Just know that it's worth it. Surprisingly, despite the 3DS coming into its sophomore year and my eventual purchase of the PS Vita in the fall, I had little pressing need to buy any handheld games in 2012. Most of that can be blamed on my enormous PSP and DS backlog which I had slowly begun chipping through, but two upcoming games did grab my attention fairly early on:Tales of the Abyss 3DS and Persona 4 Golden. Tales of the Abyss 3DS was a Valentine's Day present to North America and honestly I couldn't have asked for a better game to be released on a holiday I typically wish would go away. I've always loved Tales of the Abyss over other games in the venerable series as I found its cast of characters, both good and bad, quite memorable and fun to follow. Luke's evolution from entitled rich kid to humble seeker of the redemption and purpose was one of the more compelling coming-of-age stories told in the medium. Though the combat started slow, mastering the Fields of Fonons (FoF) system and increasingly advanced AD skills opened up a fast-paced and gratifying gameplay experience that kept me engaged all the way to the final confrontrations. I should note that one thing this game excelled at was creating a cast of very sympathetic villains; rather than focusing entirely on the main antagonist and leaving the henchmen as little more than one-dimensional comic relief or maniacal enforcers, I really admired that Largo, Legretta, Sync, Dist, and Arietta were just as much part of the theme of the story as the protagonists. Though very little was changed for the 3DS release, the game was very solid to begin with and the faster load times only helped to cement this title as one I look forward to replaying many times for years to come. As for Persona 4 Golden, a game which I am not afraid to admit convinced me to buy a PS Vita, I couldn't have asked for a better update to the PS2 title. This is a rerelease that sets the bar for all rereleases to come, with a drastic amount of content added in just about every facet of its design. 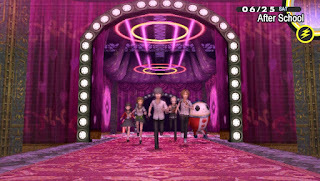 New social links, a new dungeon, more time on the calendar, new music, new skills, new animations, new events, new item systems, and new endings make this an entirely different experience from even the most thorough playthroughs of the original Persona 4. I'm almost convinced that much of what we've seen added to Persona 4 Golden was originally intended in the 2008 PS2 release with how effortlessly much of it has blended in. The PS Vita release even fixed my main complaint about the original game: that it ended too abruptly compared to Persona 3, the game that got me hooked on the series to begin with. Like an idiot, I decided to play the game on Hard mode on my first time through and almost regretted it when I was only a day away from a game over on the first rescue mission, but it was nothing a little leveling and clever Persona fusion couldn't solve later in the game. Some of my favorite new content had to do with Margaret, as I felt her personality had a lot more chances to breathe with her new counterpart in the Velvet Room. In the end, even though both games were in fact games I had played before in some form, I think the bigger sentiment I got from them was that handheld gaming has finally become fully viable this generation. I always had felt that the PSP was just short of that console feel, but with the 3DS and Vita, that no longer is the case. I anxiously await more new and old RPGs for both systems in 2013, and beyond! Virtue's Last Reward was easily one of the highlights of not just the handheld scene this year, but of gaming as a whole. Available to both 3DS and Vita owners, this combination of escape-the-room and visual novel games is a fascinating experience that keeps going throughout. Those who previously played the first game in the series, 999, will know what they're getting in for, but fortunately playing it isn't a necessary precursor to enjoying the game (although doing so is recommended anyway). The route system, with the ability to immediately jump to any previously seen point no matter what route, and overall concept, featuring Prisoner's Dilemma-esque choices after each puzzle, craft an intriguing tale that builds to a very satisfying finale when everything is done. Where the story and game really comes to the fore, however, is its cast. 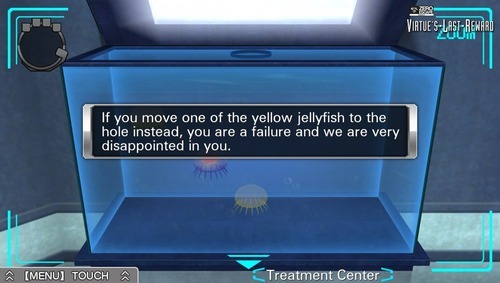 VLR contains one of the most memorable group of characters in recent years, each with their own flaws and superbly developed personalities really sells the conflicts that the Nonary Game causes. The game's English voice acting, sadly not available in the European release, is also superb and help ensure the memorability of the story and cast. Anyone needing a further reason to purchase a 3DS or Vita can be rest assured that Virtue's Last Reward is an incredibly good one. 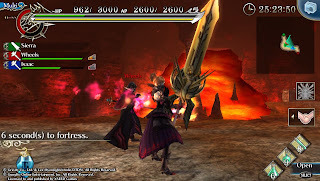 Handheld gamers who enjoyed the Phoenix Wright or Hotel Dusk games will find much to love here, and there is a very strong argument to say it manages to surpass all of them, but the game has plenty of appeal to handheld gamers of all tastes. 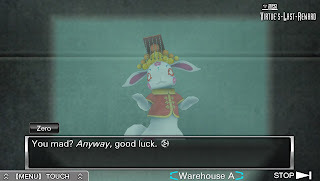 The only downside now is the wait for the next Zero Escape installment, which is currently in development in Japan. There’s little doubt that Persona 4 Golden was my favorite game of the year. Taking one of the best games of all time and making it even better, Atlus made a simple port of a PS2 game to the Vita something truly special. However, you will shortly note that this is not the game I’m talking about as my favorite handheld game of the year. Instead I want to talk about my favorite handheld game of the year that further dispelled the myth that games designed exclusively for portables aren’t as good as their console brethren. This year that game is Kid Icarus: Uprising. The long awaited revival of the classic Kid Icarus NES game, Kid Icarus: Uprising is a mix of on-rails shooter and third person shooter with a heavy helping of nostalgia from the title. Following what feels like a saturday morning cartoon style of story as Pit fights Medusa and other enemies with the help of the goddess of light the player plays through an on-rails shooting segment at the start of each stage similar to classics like Panzer Dragoon and Star Fox. Then the game switches to mostly linear on foot 3rd person shooting segments that provide some of the game’s best action. 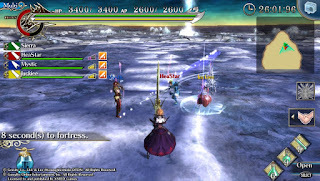 The stage and enemy designs are wide ranging and great fun and even include the classic eggplant wizard. Outside of the actual stages players can fuse and purchase new weapons and even bring their powerful weapons into the game’s online multiplayer mode. 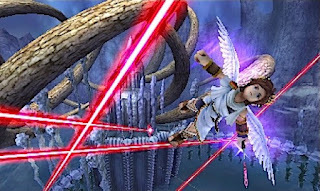 With wonderful production values, an insane number of control options, lots of replay value thanks to scaling difficulty, and even achievements, Kid Icarus: Uprising would be right at home on a home console. 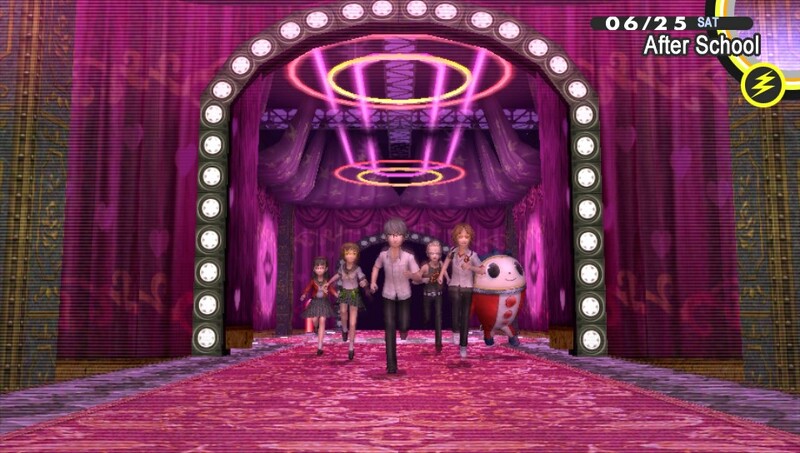 So if you play one portable game from last year, let it be Persona 4 Golden. If you play two portable games from last year then Kid Icarus: Uprising should be the second game!